Executioner Ogami Itto was framed for treason, and his wife and household were murdered. Now he travels the land seeking vengeance, taking his young son with him in a baby carriage. 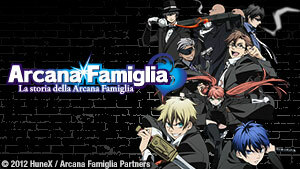 Based on the famous manga by Kazuo Koike and Goseki Kojima. A noblewoman who was forced into prostitution after her fiancé and family were murdered at their wedding, asks Itto to kill the man responsible, a spurned former suitor. Ogami Itto and his young son Daigoro arrive in a town known for its hot springs, but the entire village has been taken over by a gang of murderous bounty hunters. Poisoned after a surprise attack, Ogami must face a deadly gauntlet of Yagyu assassins in order to fulfill a promise made to a dying man who saved Daigoro. A meeting on the Assassin’s Road causes Itto to remember the events leading up to his wife’s murder, and why he chose to bring his son with him on his mission of vengeance. Multiple stories interweave as Daigoro becomes lost while seeking medicine for his father and is befriended by a young woman who is being sold into service by a loan shark. 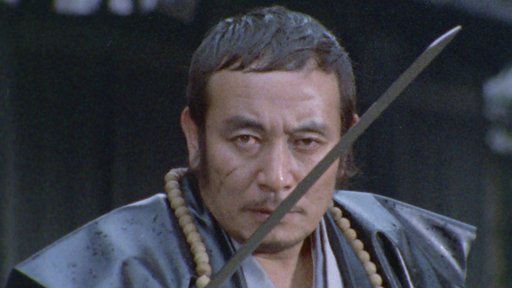 When his father is delayed for multiple days after an assassination goes awry, a desperate Daigoro wanders off and falls into the hands of a ruthless gang of criminals. Itto is hired to assassinate a gunsmith who has reportedly developed a repeating rifle, a weapon that could completely destabilize the balance of power in Japan. Itto accepts an assignment to stop a shipment of gold, assassinate a government official, kill an entire team of covert agents and prevent a small clan from being framed. As Lord Yagyu prepares to send his last and strongest son, Gunbei, to kill Itto Ogami, the events of Gunbei and Itto's previous duel are revealed. A scheming magistrate's plan places Itto in the middle of a war between two Yakuza families, one of which is lead by the daughter of the leader of the other. While the Yagyu set a trap for Itto, a group of con artists pose as Lone Wolf and Cub and a disgraced Samurai takes on the role of Ogami. 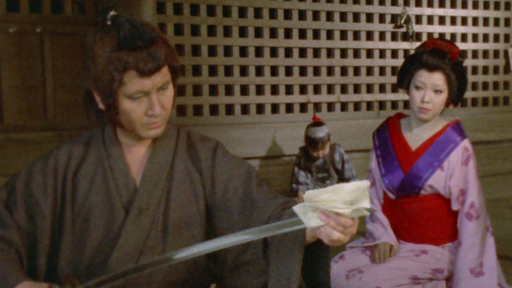 As Itto waits for an opportunity to assassinate a sadistic Lord, he and Daigoro observe the life of a young boat woman who must sell herself to support the man she loves. While Itto tracks down the killers of a young woman's entire family, Daigoro becomes caught up in a policeman's hunt for a notorious female pickpocket. Itto accepts a job that will protect the location of a secret gold mine, but the task is complicated when a rival swordsman takes Itto's target's son hostage. Itto must deal with a well-wishing doctor and a group of shadow ninja when he's tasked with killing a group of assassins who're targeting the Shogun's lover. Itto returns to a spot on the banks of the Shinobu River where he once executed the lord of a Clan, and faces a samurai he defeated in a duel four years earlier. Government officials convince Asaemon the Beheader, one of the few swordsmen in Japan with a level of skill close to Ogami’s, to kill Itto in combat. Itto meets Sakon Shino, a beggar samurai who has given up killing for a life as a street performer. Shino urges Itto to give up his assassin life, for the sake of his son. The Lone Wolf and Cub have their work cut out for them when a seemingly simple job turns into a deadly game of lies and intrigue. The Lone Wolf and Cub rescue a woman who has sold herself into prostitution in order to stage her revenge on her murdered brother’s evil fiancé. Desperate to keep their clan from being dissolved, the family of a murdered Lord fake the real killer’s murder and ask Itto to verify their false claim. Assassins from the Kurokuwa clan stage a non-stop series of attacks that lasts for days, slowly steering an exhausted Lone Wolf and Cub into a deadly trap. Itto is hired to kill a samurai who has allegedly turned his men against Lord Norikatsu, but the true reasons turn out to be far more complex and deceptive. Ogami mysteriously joins a group of “the unclothed”, men with the unusual job of carrying people and baggage across a river where bridges and ferries are forbidden. After being thrown off a cliff during a battle with the Yagyu assassins, Daigoro searches for his now missing father while avoiding his family’s many enemies. Itto tries to follow the trail left by his missing son, Daigoro, while fighting off the forces of Lord Retsudo and his Yagyu assassins. With his three legitimate heirs dead, Retsudo Yagyu plots to impregnate his illegitimate daughter while sending her brother to fight Itto. In honor of a woman who saved his son’s life, Itto goes to assist a group of farmers who have been conscripted by the ruthless Lord Ichige and his brother. With no warriors left who are capable of beating Itto physically, the Yagyu resort to coercing a ninja to use the secret five prong technique against the Lone Wolf. Itto is hired by a Clan Lord to kill a spy who seduced and impregnated his daughter, while Daigoro befriends the woman’s now four year old son. To carry out an assassination, Itto must pose as a new head clerk… and to do that he must leave Diagoro alone in a cave during the middle of winter. Itto is betrayed by an employer and forced to spend many days on the run before he can return to Daigoro, forcing the three year old to fend for himself. While Daigoro suffers from an illness that distracts Itto, a group of desperate villages conspire to kill the Lone Wolf and Cub in order to pay off their taxes. A dogged Police officer tries to solve the mystery of why a Samurai’s daughter became a prostitute and hired Itto to kill a loan shark and his wife. A prospective employer sends 5 sword masters men in search of the Lone Wolf & Cub. To learn what the actual assignment is, Itto must find and slay all five. Itto faces an ethical dilemma when he is asked to assassinate a beloved local doctor who many believe to be a living incarnation of the Buddah. Against the will of her clan, a woman hires Itto to kill three legendary guardsmen who are escorting her brother to Edo for trial. Genshichi Tsuji wishes to test the dedication of his three successors and hires Itto in secret to cut off their right arms. The authorities respond to a robbery and capture Itto. Giving a false name, he is quickly tried and sentenced. Why is he so willing to go to prison? The brazen criminal activities of those under a samurai’s employ can no longer be tolerated. 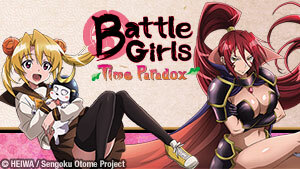 To stop their reign of terror, Itto is hired to eliminate the gang’s leadership. 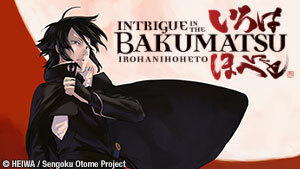 Itto is hired to eliminate a man’s ex-fiancee, but there’s a catch: She must take her own life in penance. Jinza carries messages of such importance he is authorized to kill those who stand in his way. If Otoshi is so desperate to end his life, why would he spare her? Mamesho and his daughter, Chie, are on a journey. On their travels, they find themselves repeatedly crossing paths with Itto and Daigoro. Is this a sign of things to come? Itto and Daigoro come across a starving Kinpachi on the road. 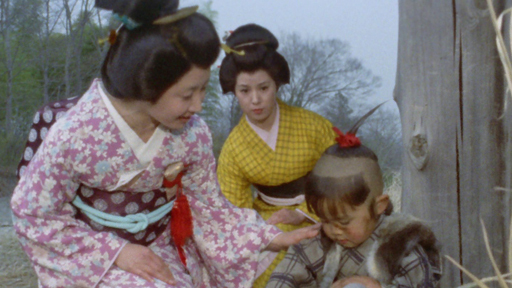 Daigoro offers him food, but could this act set off an unforeseen chain of events? One does not become an assassin without making enemies. That is the reality Itto faces when a lord issued orders that his life be taken. Conspirators hire Itto when an attempt on Lady Onami’s life fails. How will they execute their plan with her cunning wits and bodyguards in the way? Itto terminates a secret agent, but before the man dies, he asks the Lone Wolf for a request that will take the assassin to a village where only women live. The Mito clan have little recourse but to hire Itto to dispose of Mondo Bessho for his political views. But what will Itto do when the clan plans on killing him as well? The kojunin have a ritual where they bury their best swordsmen alive. For what purpose does this serve and what does it mean for those left behind? When Itto fails to return, Daigoro goes searching for his father. When an old woman comes to his aid, will she end up taking him in as her own? Itto saves the life of a young child by dismounting Lady Kanae from her stampeding horse. When he refuses to apologize for his actions, she vows not to forget the insult. Sayaka burns with hatred over the death of her brother, Shobei. 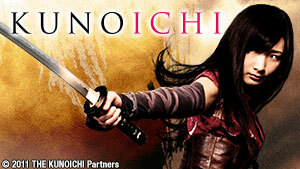 When Retsudo orders her to take Itto’s life, she eagerly accepts the vengeful mission. Retsudo has powerful friends, including the Shogun himself. To deal with Itto once and for all, the Shogun places the Guards of the Black Gate under Retsudo’s command. The magistrate increases the reward for the Lone Wolf’s head when bounty hunters demand a higher price for such a dangerous target. A failed ambush plays right into Ryuza’s hands. Can Itto survive the bounty hunter’s “genuine hell”? Meanwhile, Torizo cross paths with Itto once again. Itto regularly accepts assassination requests, but rarely does he receive a cancelation. What does the Yagyu have to do with it and what is the extent of their influence? Osen is determined to escape a Yakuza-run brothel. Will an encounter with the Lone Wolf finally give her the chance she seeks? Believing that the Daijoji clan is acting under the orders of the Yagyu, Itto attempts to avoid needless bloodshed. But is that a luxury an assassin can afford? The Lone Wolf wanders, cutting down any bounty hunter in his path. Now, it is Akane’s turn. If she fails, her sisters must succeed in her place. An old woman finds a small boy trying to catch fish by the shore. She teaches him how only to discover the boy wanted to feed his sick father, who is known as the Lone Wolf. People always have a reason for their actions. Some desire to save others. Others desire to save themselves. As for Itto? There is only the grudge. The latest plan to ensnare the Lone Wolf involves restricting the number of bounty hunters sent after him. Legend tells of a flower that would bring happiness to any who picked it. However, can there be any happiness for Miyo? Sakai would rather sacrifice his lands than have his men senselessly cut down by the Lone Wolf in someone else’s crusade. It is precisely for that reason he must now die. An intentional snub signals that The Shogun’s patience towards Retsudo is wearing thin. With only 10 days to kill Itto, Retsudo hatches a plan with an unlikely ally. 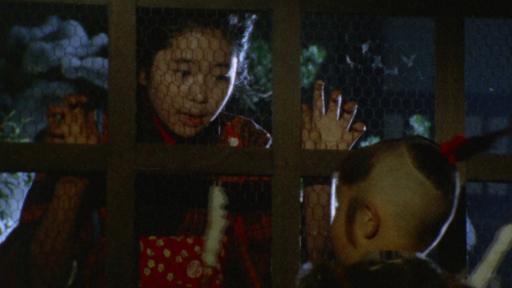 Oshun and Abe prepare to snare Itto and Daigoro in their trap. They don’t care how far they have to go or whom they have to hurt! Abe learns the truth and takes matters into his own hands as Retsudo schemes. Meanwhile, Itto runs into a lordless samurai. Cornered and desperate, Abe flees from Retsudo’s wrath. The poisoner’s only hope? Assassinating Itto before his pursuer catches up. Itto and Retsudo’s paths will cross at the Haccho river. Will that be where their fates are finally decided? The floodgates are opened, and the city of Edo is in danger. In the face of such a catastrophic threat, two mortal enemies are forced to work together. Abe watches as Itto and Retsudo resume their duel, hoping the poison he applied to their swords will finish them off. What will the two do when they realize this treachery? Retsudo is summoned to face the shogun. Meanwhile, the bounty on Itto’s head may have been rescinded, but that doesn’t mean everyone will tolerate his presence. 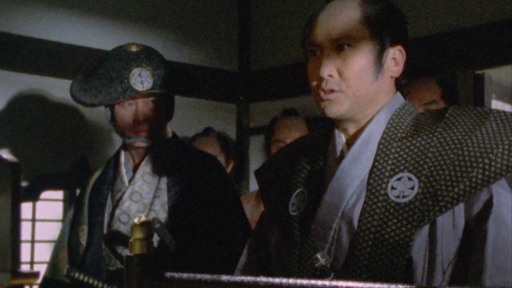 Itto and Daigoro’s paths cross with a man known as Bunshichi. What’s his reason for stealing all that money? The fate of the Yagyu and the Grass are intertwined; One cannot exist without the other. 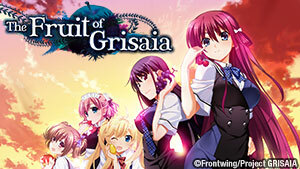 It is for that reason the Grass launches one, final attempt on Itto’s life. Itto has long straddled the line between life and death, but it is not a path one can follow forever. In the end, on which side of the line will Itto finally find himself?